We have built up an excellent reputation for quality and service, manufacturing units to customers own individual requirements. 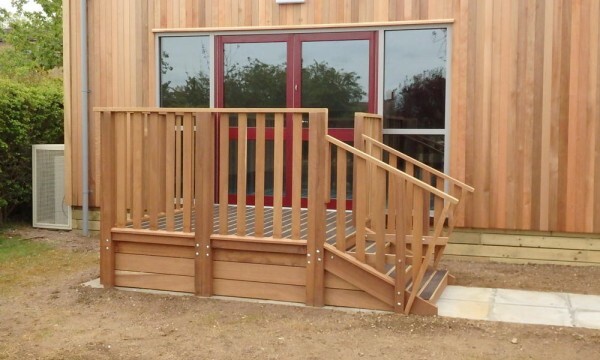 We offer a choice of external finishes, the most popular being genuine Red Cedarwood treated with Sadolins wood stain/preserver. 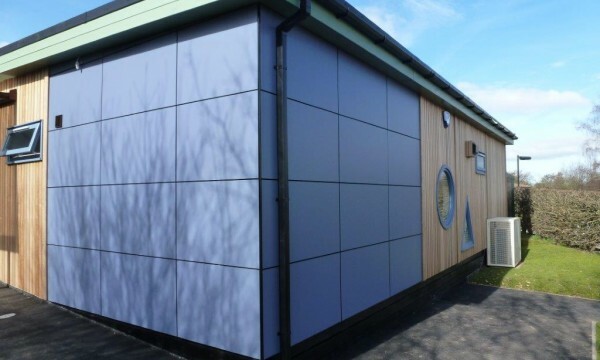 Our Buildings are environmentally friendly only using companies affiliated with sustainable forestry schemes such as the Forest Stewardship Council. 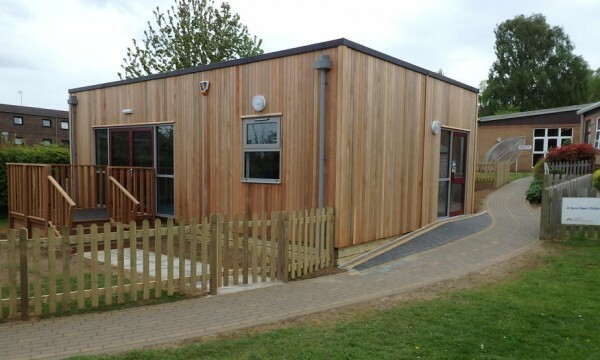 R G Stones (Buildings) Ltd manufacture classroom and nursery accommodation for many County Councils as well as private schools, nurseries and 'Surestart' projects. Our own workforce can carry out all associated siteworks - paving, drainage, water, gas and electrical services saving the client the hassle of organising separate contracts. 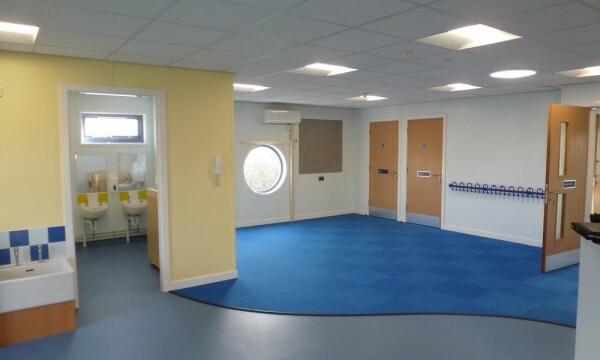 We can also relocate and refurbish buildings by any other manufacturer. “ It was a pleasure working with R G Stones â in fact they have been the best builders we have ever had on site. Nothing was too much trouble â such a professional service. Would highly recommend. Our new building also looks fab! 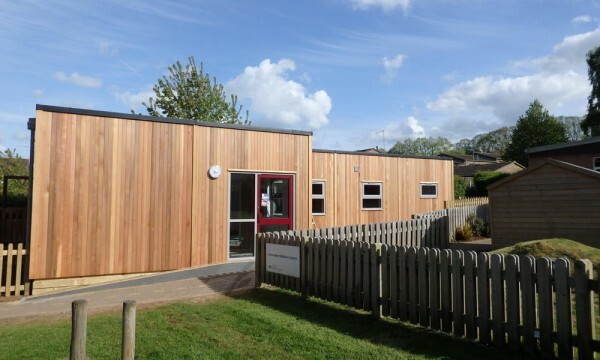 This 5-bay L-shaped modular nursery building featured unstained cedar cladding and a contemporary parapet wall design. Windows and doors are powder coated aluminium. 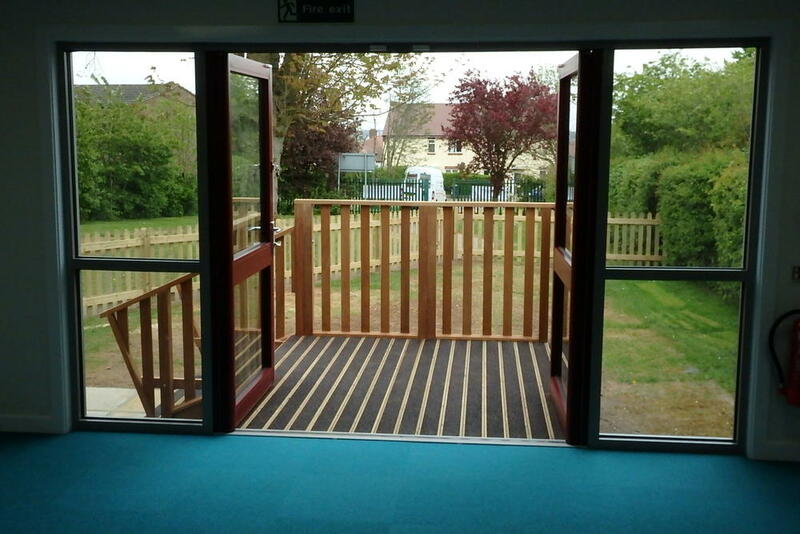 A high specification hardwood decking area and steps provide access through the French doors to the play area. 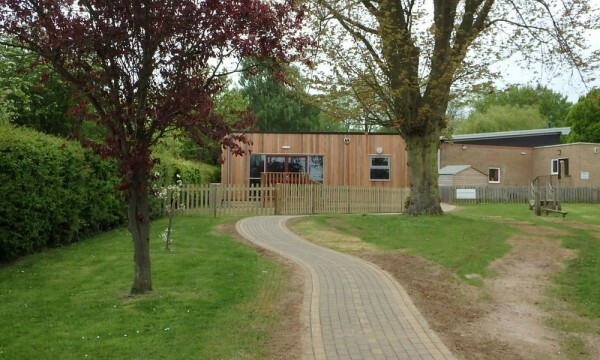 The building has settled nicely into the existing landscaping of the site. 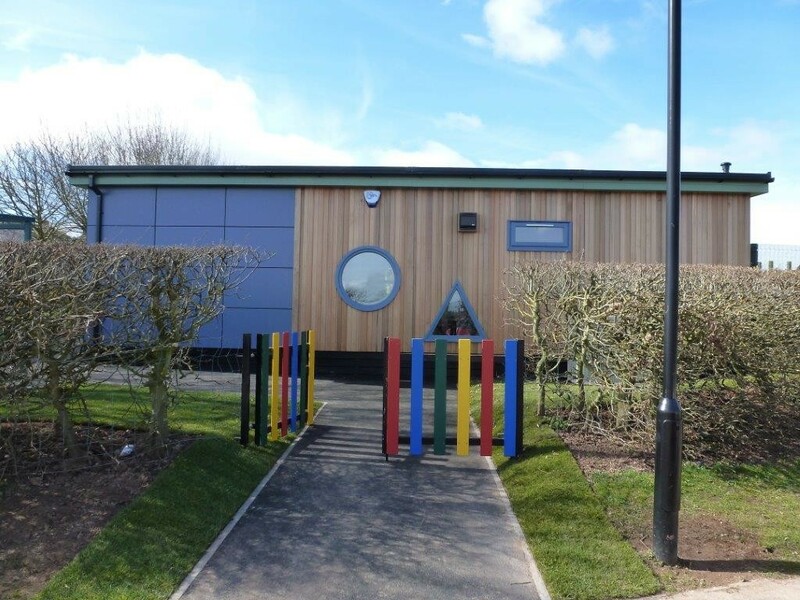 The Nursery staff highly commended R G Stones' involvement with the project. "It was a pleasure working with R G Stones – in fact they have been the best builders we have ever had on site. Nothing was too much trouble – such a professional service. A big thank you to all involved." 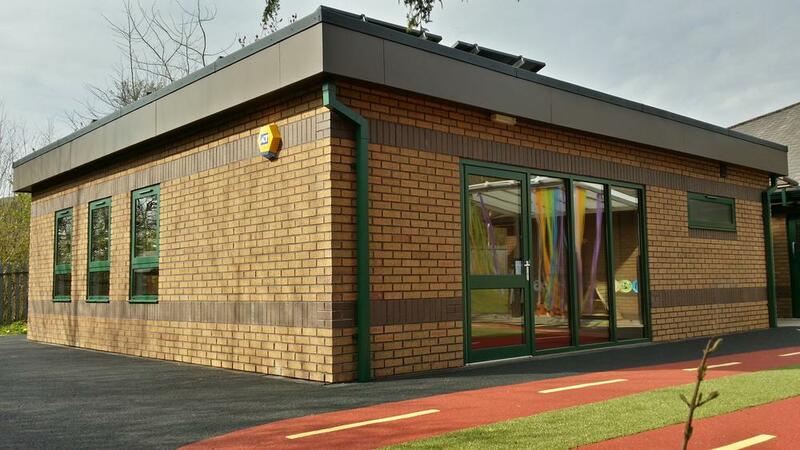 This 3-bay modular building was clad with brick slips on insulated backing panels arranged to form decorative soldier coursing to match the existing school building. Aluminium doors and windows, fascia and soffit complemeneted the colours of the bricks. 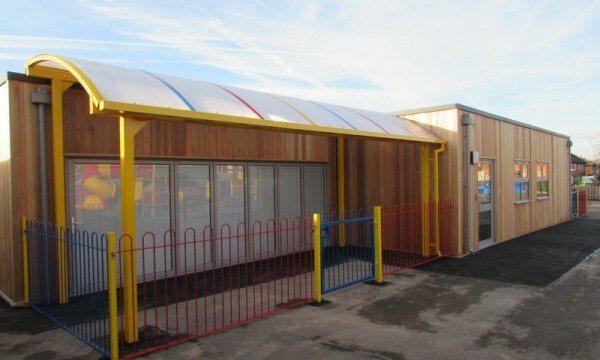 Solar panels were fitted to the roof to generate energy. This building achieved an A rating for energy performance. 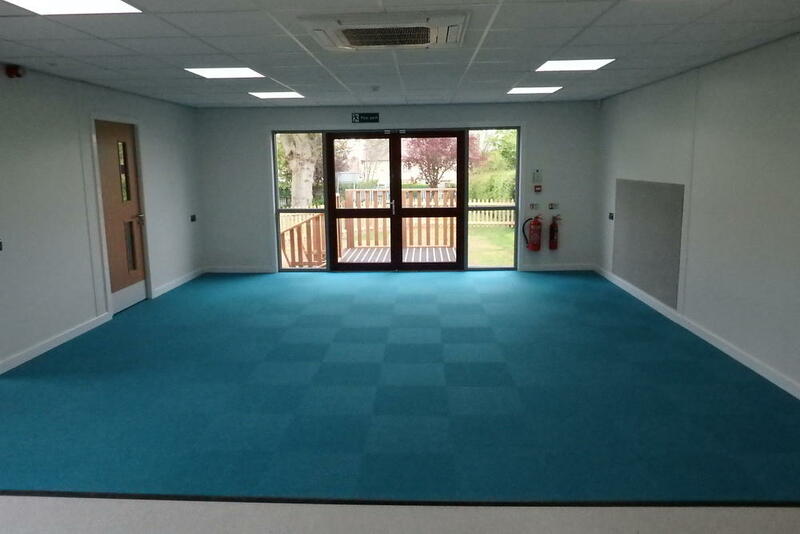 A good working relationship was built with the client to deliver the completed building to their specification. 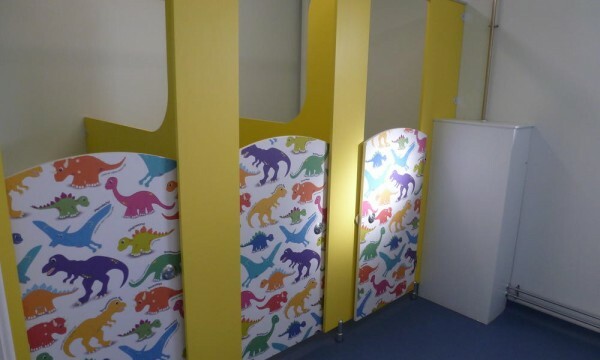 "We are extremely happy with the end product. The communication throughout the project was very effective and would be happy to work with R.G. Stones in the future." 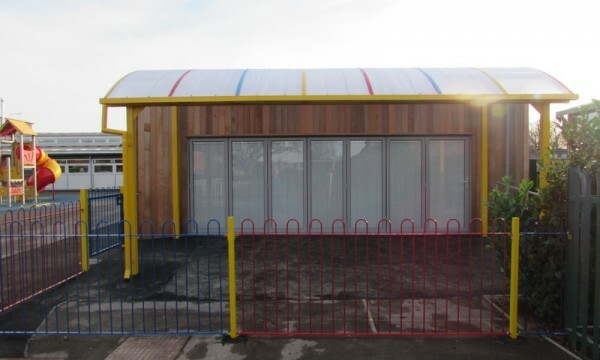 This project was undertaken for our client, Stoke City Council. The total construction period on site was ten weeks. R.G. Stones completed the project on time and on budget. The building features a new cedarwood profile. The contemporary natural finish creates a strikingly modern fresh look with its raised parapet walls. 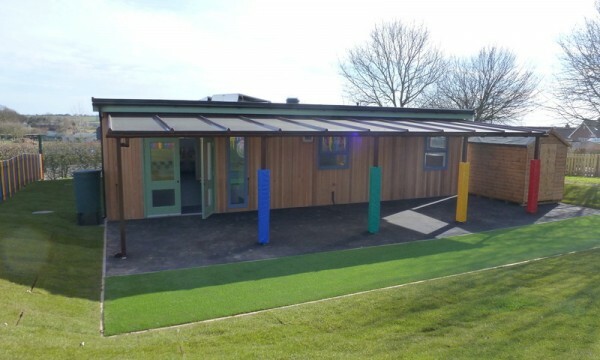 Aluminium windows, doors and 6.00m bi-folding aluminium doors offer the building natural light with integrated blinds and give the effect of bringing the outdoors in. As part of the complete fabrication and construction package, R.G. Stones took care of the drainage and fencing as well as the two metal canopies and IT. 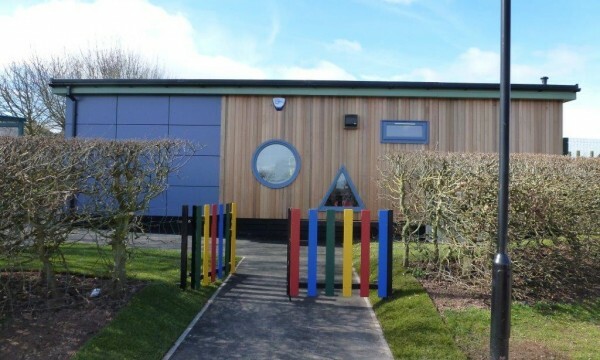 This 4 bay modular building was constructed at Brown Clee Primary School for Shropshire Council and featured unstained cedar and contrasting Trespa cladding. 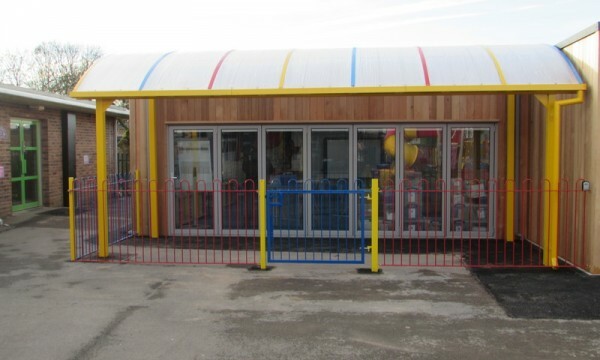 The building incorporates a design that makes it a bright and fun place to learn including bold primary colours and geometrically shaped windows. 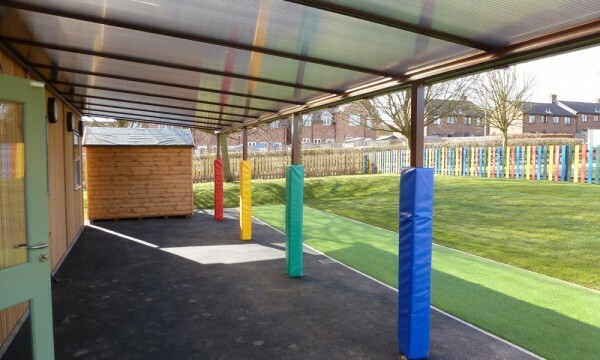 The play area is designed for use throughout the year, featuring a canopy and surfaced with tarmac, artificial turf and grass. 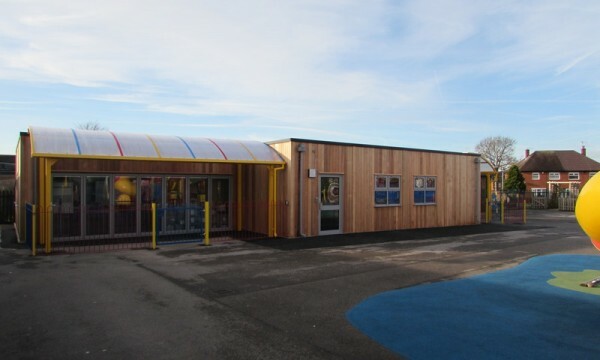 This 7-bay building for City of Wolverhampton Council featured two classrooms, toilets and a covered decking area. Glazed aluminium doors and large uPVC windows take advantage of views over surrounding countryside. 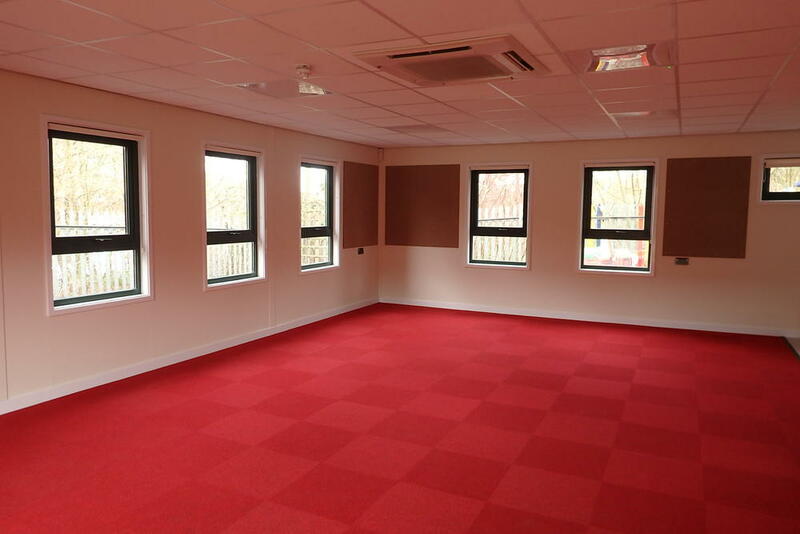 On this projects we installed the Thorlux Smart lighting system that allows programmable lighting to be used that turns off the lights when an area is unoccupied and creates optional ‘scenes’ where the lighting is customised to give different levels of intensity within a room. The manufacturer of this system states that savings gained by the installation of automatic lighting control systems often exceed 70%. A canopy links the building to the main school. 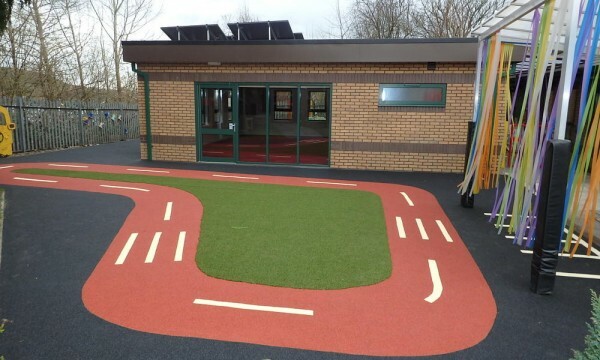 The project included tarmac to the playground and a car park extension.